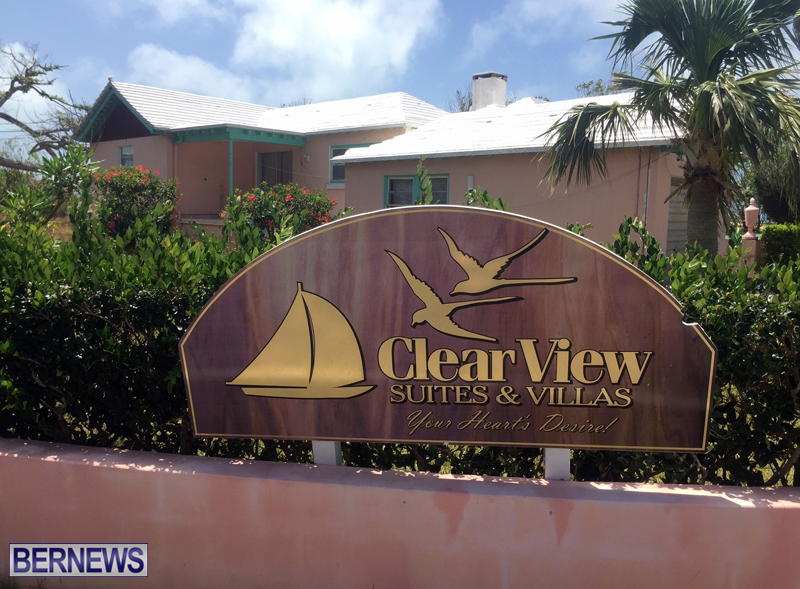 The iconic ClearView Suites & Villas are for sale. The hotel property on Sandy Lane as well as a nature reserve lot on North Shore and a property across the street on Sleepy Hollow are available to be purchased. The ClearView and Sleepy Hollow properties were put up for sale earlier this month. The ClearView side includes six lots of property. Penny MacIntyre, partner at Rego Sotheby’s told Bernews they were hoping “to find a purchaser who would buy the whole property all together. But if anyone was interested in running it as a hotel, they would need to reapply for a [hotel] licence. If someone wanted to run it as a hotel there are advantages to its location. Ms. MacIntrye said the apartment block for ClearView has been renovated. She said the Sleepy Hollow property includes 1.5 acres of land and is a four bedroom, three baths home. Ms. MacIntrye said on the ClearView side some of the outstanding features include magnificent water views that stretch out to Dockyard and the Railway Trail. This would be a magnificent purchase opportunity for someone willing to develop it into something cutting edge would benefit Bermuda. It would make for a great campus for a pre-, elementary, middle and high school that incorporates the land and building across the street. What about the legal issues at stake here. I thought the place/s were in receivership. If the listing has been undertaken by a Court appointed receiver what legal issue is there?